I’m right there with you! 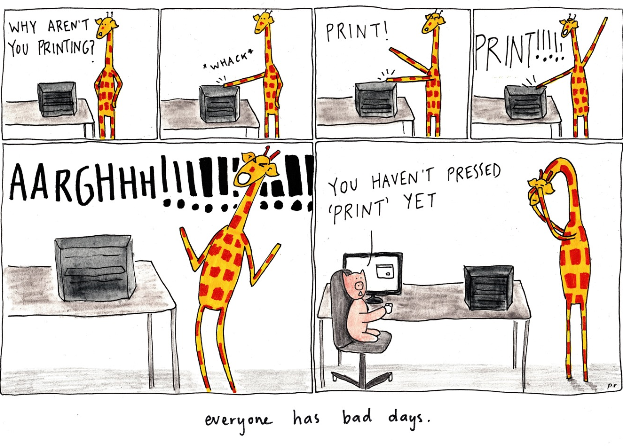 Last week the friendly guy from IT explained that the printer needs paper in order to print… Aargh!! Hahaha I love it! Whoops!